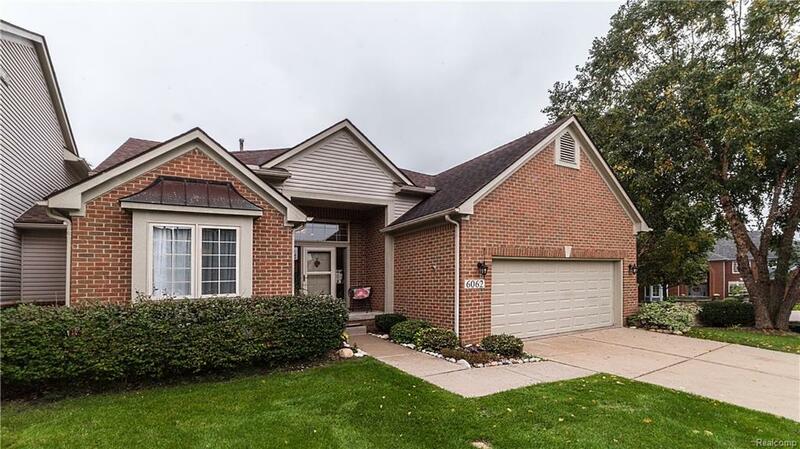 GREAT CORNER LOT CONDO IN WALLED LAKE SCHOOL DISTRICT. 1ST FLOOR MASTER SUITE W/LARGE WALK-IN & LINEN CLOSET PLUS SEPARATE BATH ANDSHOWER,2 SINKS. VAULTED CEILINGS IN THE GREAT ROOM WALL OF WINDOWS WHICH PROVIDE GREAT LIGHT. ENJOY THE WARMTH FROM A GAS FIREPLACE IN THE GREAT ROOM.A DECK OFF THE BREAKFAST ROOM. BE SURE TO USE THE GOLF COURSE AND CLUB HOUSE WHILE THE ASSOCIATION TAKES CARE OF SNOW AND LAWN REMOVAL. THE CORNER LOT HAS A GREAT VIEW AND A BEAUTIFUL LARGE TREE NEXT TO UNIT THAT PROVIDES GREAT SHADE! THIS CONDO IS WORTH THE VIEW! !